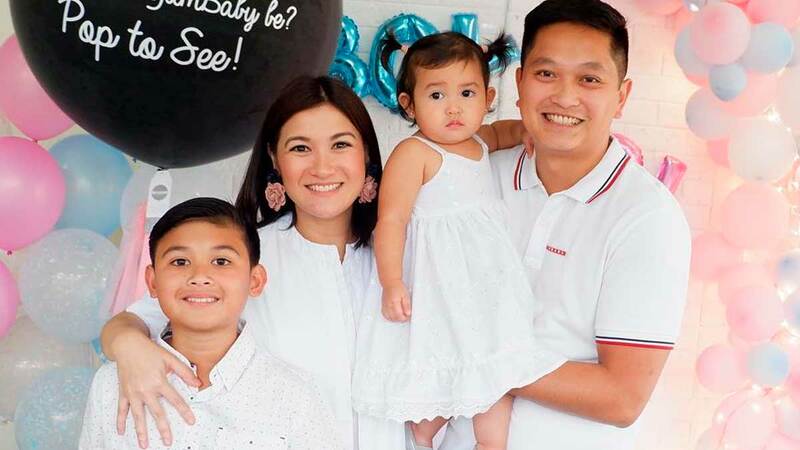 Camille Prats' family is definitely getting bigger! The Kapuso host is expecting her second child with husband VJ Yambao. The couple held a gender reveal party over the weekend and found out that the newest addition to their family is a baby boy! Writing on Instagram, she said, "I was secretly praying for a little prince coz I want @nalacamilla to be the only princess in our family only to find out that we are blessed with a BOY! What an amazing surprise!" Camille has a one-year-old daughter Nala with VJ, and an 11-year-old son Nathan with her late husband Anthony Linsangan. Congratulations on your growing family, Camille and VJ!